Both of my Kindle Fire HD devices have problems playing YouTube videos in the Mobicip browser. 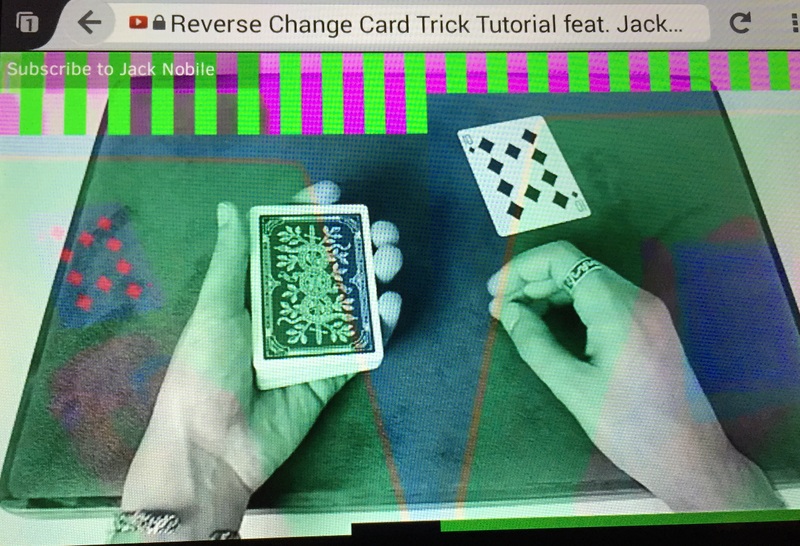 A green bar with vertical lines appears at the top of every video, even ads. Videos play just fine in the Silk browser. The picture shows the problem. We suggest you to delete and reinstall the app and check if it helps. To uninstall Mobicip from your Kindle device, please launch Mobicip Safe Browser > go to Menu > Settings > Mobicip > Uninstall Mobicip. Enter your passcode to remove the app. Please refer the steps given this webpage. After uninstalling the app, please follow the steps in this tutorial to sideload Mobicip Safe Browser on Kindle Fire. In case the issue still persists, please confirm the specific device make, model and type, Android version running on it, Mobicip version you are using and exact steps to reproduce the issue. We really appreciate your help and patience as we work towards your satisfaction. I have uninstalled and reinstalled per instructions. The problem persists. Specific device make, model and type: Fire HD 6, 4th generation Android version running on it: Fire OS 4.5.5.1 Mobicip version you are using: 2.1.1_r468 Exact steps to reproduce the issue: go to youtube.com and watch any video. Please refer to the picture I uploaded. Despite several attempts, we were not able to reproduce the issue at our end and all Youtube videos played fine in our test devices (we tried in various versions). We suspect that this is more of a device issue (display). Please try to remove Mobicip and check if the same issue occurs in native Youtube app. If yes, then you will need to take the device to a service station. We just purchased a new kindle fire HD 6 and we have the same experience watching YouTube videos. Silk browser works fine. Any suggestions? As we mentioned in our previous post, we are not able to reproduce the issue in our test devices. We even tried in the same type of device but still no go. We suspect that this issue is specific to device and we recommend that you take it to a service center for analysis.